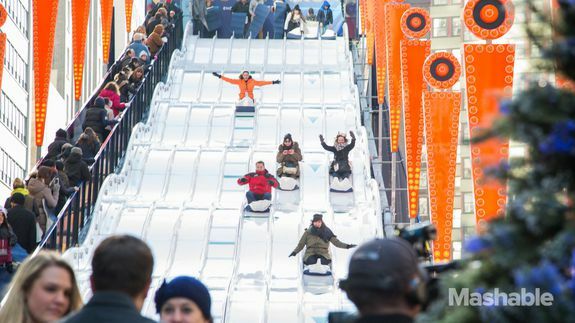 Super Bowl Boulevard Takes Over Manhattan With Football Festivities - trendistic.com: ever tried. ever failed. no matter. try again. fail again. fail better. NFL fans in New York City ignored the freezing temperatures this week to participate in the Super Bowl festivities set up along Broadway in Times Square.